When we arrived at Norfolk airport on February 5, 2008 – the day after we learned our son Nate was killed in action – a tall, handsome, dark-haired guy introduced himself at the baggage claim area. It was Adam Brown. He told us he was on Nate’s SEAL team. He had trained with Nate, was rehabbing an injury – and thus not in Iraq – and would be helping us navigate the details of Nate’s death and burial. He was so genuine, so easygoing, and so friendly that we all felt a sense of relief. He was a calming presence the next two weeks. Adam Brown would have been all over One Summit’s Climb for Courage program. A legendary warrior in the SEAL community, he was also known for the compassion and care he showed to Afghan children. He was always there to even the odds in life’s struggle. He died heroically on March 17, 2010 during a raid on a Taliban target. 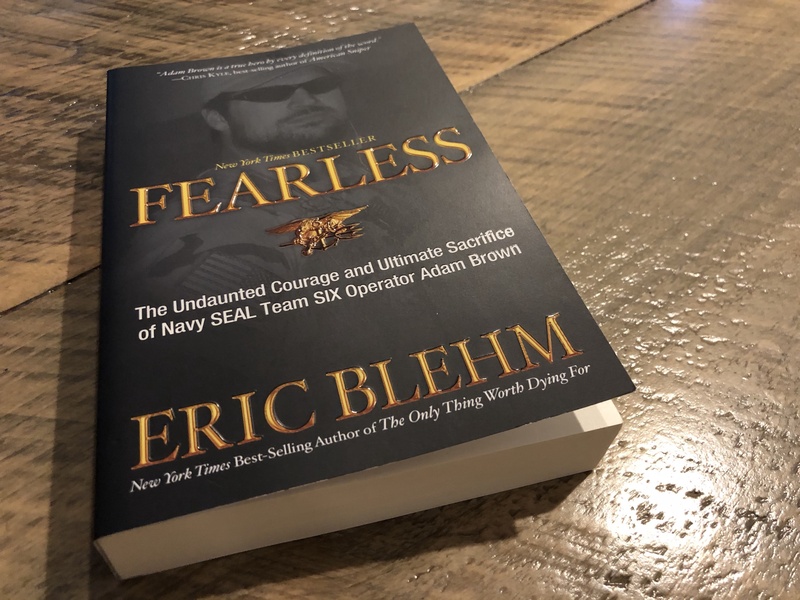 His story is told in Eric Blehm’s bestseller, Fearless: the only “SEAL” book we know with universal approval among the warriors themselves. The reason? It’s not a war story. It's a story about humanity, family, and resilience. Adam Brown drifted after high school in Hot Springs, Arkansas, struggling with addiction and falling into trouble with the law. He found purpose when he met Kelley Tippy, dedicated himself to his faith and enlisted in the Navy with a goal to become a SEAL. As one of his close team friends recalled, “becoming a SEAL wasn’t a dream for him; it had been his last hope.” He eventually made it to the top of the military pyramid – Naval Special Warfare Development Group – due to his obvious talents and determination. But more so because of his parents’ and Kelley’s unbounded love, their deep faith, and the timely support of people in power. Adam needed all of that because he still had drug demons – even as a SEAL – and a lot of bad luck. While on Team 2, he was hit in his right (dominant) eye by a “simulation” round during a training exercise. It was eventually amputated. Rather than take a medical discharge with lifelong disability, he taught himself to shoot left-handed. On a later deployment in Afghanistan, his right hand was badly mangled in a convoy accident. While training in September 2007, he shattered his tibia plateau, which was why he was in Virginia Beach when Nate was killed. At his funeral, SEAL teammate John Faas said: “Adam is the hardest man I have ever met. Over the course of his career he sustained more significant injuries than most of us combined, but he just kept on operating. Adam would not quit, he would not accept defeat. Not ever.” But this hardness was matched with caring softness. One night in February 2008, Adam returned with us for a couple of hours to the cottage we were staying at near the base. We talked about many things, especially football in Arkansas. But what I remember most about that night was Adam gently telling us: “Well it’s been great talking to y’all, but I need to get home now so I can give my kids a bath. That’s a special time for me and them.” I thought to myself, now here is someone who understands how much his kids and wife mean to his own resilience. When leaving for his third deployment he told Kelley, “Don’t worry about me. You’ve got the toughest job. Mine’s easy.” Fearless is as much about them as it is about Adam. When our lives are broken by injury, by disease, by addiction, by death, we are wise to embrace the help of those around us and to care for others who are hurting. This was the secret to Adam Brown’s resilience. 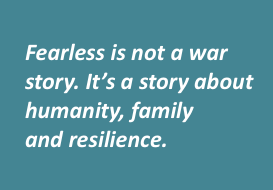 And that secret is wonderfully revealed in the pages of Fearless, an absorbing read that is recommended for all ages, that will inspire all families with a link to One Summit and will resonate regardless of the adversity one is currently experiencing in life.